Located in American Fork, Utah and established in 1987. Manufacturing innovative optics accessories and mounting systems. SportEAR Leads the Sporting Good Industry in Providing the Ultimate Hearing Performance & Protection Experience for Avid Outdoorsmen & Women. Each pack in the Keyes Hunting Gear™ line pushes the boundaries of design and has been tested in the field by seasoned hunters for utility, performance and durability. All packs feature unique custom camouflage patterns developed specifically by Jeff Keyes for Keyes Hunting Gear™ Packs are manufactured with 300 D Polyester Tricot and are covered with TPE, an environmentally friendly, waterproof, non-toxic rubberized coating for strength and scent reduction. Premium Select Supplies offers a great selection of shooting accessories. We also offer Bagmaster shooting bags which are great for storing and transporting all your firearms whether a handgun or long gun. We also stock a wide variety of gun holsters made by Bagmaster or Versacarry. Each of these items are high quality and Made in USA. We also stock Bulldog Cases which offer a line of concealed carry purses to check out. These purse are well made and come in different sizes and colors to fit your needs. 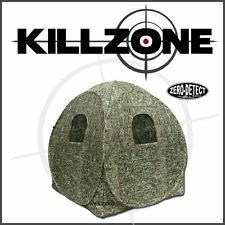 We have also added Allen Company items which give us products for ear and eye protection, treestand accessories, targets and gun socks. Keep your handguns safe while at home or the office with our Bulldog Vaults and trigger locks. The trigger locks are available with keyed or combination locks. The vaults start small with a vault that will easily fit in your car up to a vault with shelves to hold your handguns as well as other small items you want to keep safe. These vaults are available with key locks, combination locks or a biometric fingerprint lock. Vorn Equipment patented release system ensures comfortable carrying of you firearm during your hunt. By pulling the release handle the firearm is release from the pack and it’s still easily accessible. Vorn Equipment offers patented backpacks where you can carry your firearm well protected, securely and comfortably all day. When you suddenly need your firearm it can be released quickly and discreetly from the backpack and anyone who can put their right hand behind their head and touch the barrel can manage this. Bucks & Bows Archery is a Mathews, BowTech, EliteArchery, Prime, PSE, Mission and Diamond Authorized retailer located in Gibsonia, PA. We also carry Mission crossbows, Parker crossbows, Excalibur crossbows, and TenPoint crossbows. 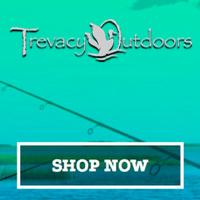 Our goal is to offer our customers high quality archery products and services. We have an indoor shooting range with eight lanes and the newest technology in targets. Stop in and give us a chance to earn your business!